This is one in a series of book reviews. 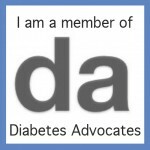 You may find these books beneficial if you: manage prediabetes or diabetes, follow a diabetes meal plan and/or try to eat healthy to live well. These book reviews also appear on amazon.com and the books can be found in my amazon a-store. Please check them out and consider a purchase. Note: This book is geared to healthcare providers who help people make behavior changes. 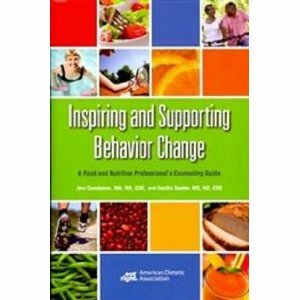 I’ve recently reviewed a similar book for healthcare providers Inspiring and Supporting Behavior Change: A Food and Nutrition Professional’s Counseling Guide. No longer is it unusual to hear the term ‘obesity’ in our culture. While studies and books abound on the topic, Behavioral Approaches to Treating Obesity, Helping Your Patients Make Changes That Last, by experts Brigitta Adolfsson, PhD and Marilynn S. Arnold, MS, RD, have created an all-in-one resource and reference guide for healthcare providers (HCPs). Behavioral Approaches to Treating Obesity begins with an in depth overview of the dismal statistics about obesity in America. The authors proceed to cover the multi-factorial nature of weight gain. They also discuss the possible ‘solutions’ for obesity which include bariatric surgery, obesity medications and/or healthy lifestyle changes. Adolfsson and Arnold invite HCPs to view obesity from a different perspective…being open to every and all treatment modalities. In utilizing behavior change techniques for healthy lifestyle changes people make the decisions while the HCP interacts in a manner that supports the person’s well-being. Note: This book is geared to healthcare providers who help people make behavior changes. 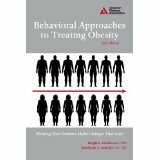 I’ve recently reviewed a similar book for healthcare providers Behavioral Approaches to Treating Obesity: Helping Your Patients Make Changes That Last. Changing behaviors is a difficult process, period! When it comes to changing behaviors to impact health outcomes, frustrations can multiply for the person managing the condition and the healthcare providers (HCPs) encouraging the person to make changes. Inspiring and Supporting Behavior Change: A Food and Nutrition Professional’s Counseling Guide, written by Ann Constance and Cecilia Sauter, both dietitians and Certified Diabetes Educators with years of expertise counseling people with diabetes, is a handbook designed to help HCPs learn to more successfully and effectively inspire people to make critically important behavior changes. As a dietitian and diabetes educator I know the critical importance of weight control as part of disease prevention and/or control and healthy living. I also know how challenging it is to keep pounds lost ….well, lost forever. It takes inner strength, fortitude, perseverance and much more. Compared to taking the pounds off, keeping the pounds off is THE hard work and it goes on endlessly. Good news is experts say it gets easier over time. In this blog I’m dialoging with Bob Wilson, a dietetic technician in his day job. Bob was a morbidly obese teenager. He weighed 400 pounds in the 8th grade. He lost 250 pounds over 2 years when he hit 21. He has now kept his weight between 155 and 160 for 39 years. He’s been on a remarkable journey. Through his struggle to manage his weight Bob has amassed many learnings and skills and shares these at his website: balancedweightmanagement.com and in his book "Lighter and Free from the Inside Out". Bob wants millions of others to win “The Biggest Maintainer of Weight Lost” award. He graciously agreed to share. HW Q: You discuss 12 Essential Skills for long term weight loss/control. Can you list the top 5 and briefly state why they’re most important to long term success? BW: A: My overarching message: for lasting success discover skill power, not willpower! We all know the Henny Youngman line: “I don’t get no respect.” This line rings true regarding research on the effectiveness of healthy lifestyle changes (eg: behavior changes for healthy eating and physical activity) to prevent or treat diseases – among diseases impacted: prediabetes and type 2. Yet the impressive role of lifestyle changes (along with a hefty among of expert-led support) in preventing or delaying type 2 or slowing the progression of type 2 has and continues to be reinforced by research studies over and over again. These results, however, don’t seem to have the media sizzle to attract headlines like the studies of costly drug therapies (to name one, the famed diabetes ACCORD Trial). So the public continues to have their tax dollars spent on these lifestyle-fcoused studies without quickly hearing about their findings. Oh yes, it’s that time of year to once again commit to losing weight for good. And the headlines from myriad media outlets are ready to provide you with umpteen quick weight loss schemes and promises to make this simpler than ever. The problem is that the only way to lose weight and - the hardest part - keep it off for good, is to make slow and steady positive changes over time. Yes it’s hard work that takes diligence and perseverance! For starters be honest with yourself about your for better or worse food habits.